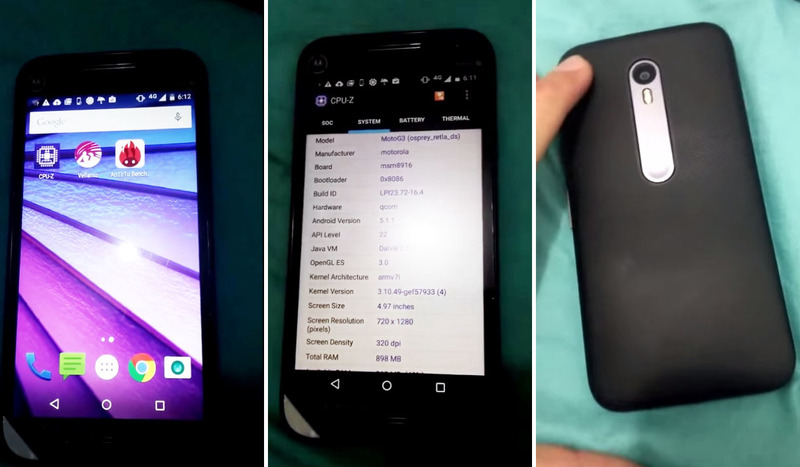 Over the weekend, a random leak of what appears to be the new Moto G (3rd gen) showed up in a 2-minute video and series of pictures. The unit made public is clearly an engineering test model that lacks most Motorola branding, but does have all sort of identifiers to help Motorola track down whoever’s unit this was supposed to be. It looks, well, a lot like last year’s Moto G only it has a redesigned back panel that features a silver panel that houses the Motorola dimple, camera, and flash. We have seen this same shape leak in purported pictures of the new Moto X (3rd gen) as well. This phone will likely launch around the time of the new Moto X.